The breathtaking beauty of the world’s oldest and most epic trees has become the focus of one dedicated San Francisco photographer. Over the past decade and a half, photographer Beth Moon has been traveling the globe in search of the world’s most impressive trees. 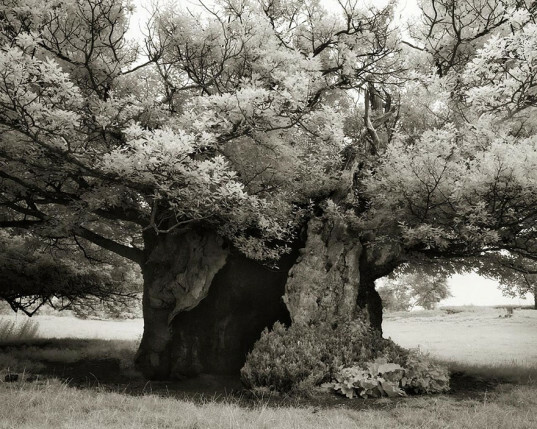 Each nature beauty has been captured and printed in gorgeous platinum/palladium, resulting in a stunning collection of 60 duotone prints that are now the subject of a book, entitled Ancient Trees: Portraits of Time. Moon’s explorations have amassed an incredible body of work the artist calls “tree portraits.” Combing the globe for the most exotic flora, the artist has spent years seeking out the most unique trees in the world. From impressively gargantuan to ancient, she has focused her lens on these specimens, which often grow in the most remote locations. Moon has traveled to heavily populated England to photograph trees that have grown through centuries old church yards, capturing their beauty in contrast to the aged architecture. She has also explored ancient trees that have remained undisturbed by development in their surroundings, and she has traveled to the island of Socotra off the horn of Africa to capture the mythical dragon’s blood trees, many of which are over 500 years old. Each of Moon’s tree portraits portray a stoic beauty of her subjects that have withstood the test of time, remaining as a monument to centuries past. The beautiful monograph is available from Abbeville Press, celebrating the diverse and quiet beauty of trees. Combing the globe for the most exotic flora, the artist has spent years seeking out the most unique trees in the world. From impressively gargantuan to ancient, she has focused her lens on these specimens, which often grow in the most remote locations. Moon has traveled to heavily populated England to photograph trees that have grown through centuries old church yards, capturing their beauty in contrast to the aged architecture. 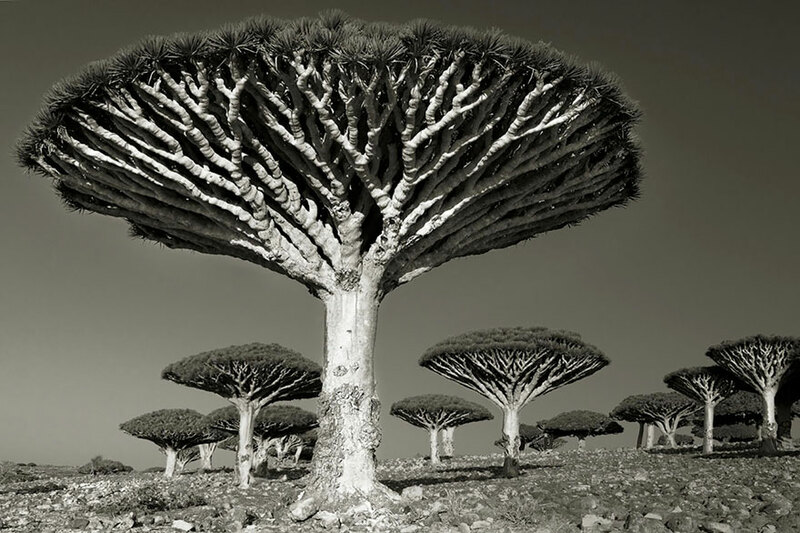 She has also explored ancient trees that have remained undisturbed by development in their surroundings, and she has traveled to the island of Socotra off the horn of Africa to capture the mythical dragon’s blood trees, many of which are over 500 years old. Each of Moon's tree portraits portray a stoic beauty of her subjects that have withstood the test of time, remaining as a monument to centuries past. The beautiful monograph is available from Abbeville Press, celebrating the diverse and quiet beauty of trees.